Markdown is a way of using plain text to create markup, usually, but not exclusively, HTML. It is based on the plain-text email message conventions. 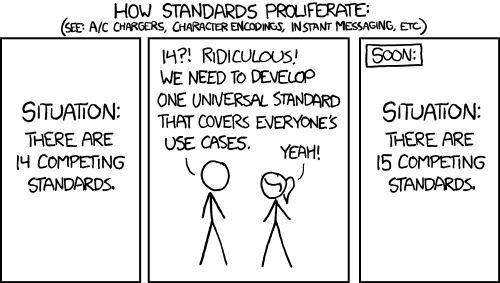 It has never been a formal standard. If you’re a developer or DBA, and use StackExchange, Ask.SQLServerCentral.com, Stack Overflow or Github, then you’ll have used it. Producing content quickly, for authors uninterested in the finer points of layout. Programmers seized upon Markdown as a great way to simplify the input of content and code snippets, and as a text-to-HTML conversion tool for web writers that allows you to write using plain text, then convert it to structurally valid HTML. Github and StackOverflow both use dialects of Markdown (GFM and Stackoverflow Markdown) and have extensions to make it useful for mixing text and code for communicating about development work. Markdown is also used by some documentation-generators, most notably Doxygen. There is a continuing need for a common mark-up convention for Wikis, Blogs and forums. At the moment, Markdown seems to be what is most commonly used, other than Creole and the original Wikimedia mark-up, which also uses plain text conventions and has grown enormously to cope with the demands of creating academic articles. The problem with MarkDown, in its original form, is that it only does the simplest things, and even does them badly. Try puzzling out the standard way of introducing a line-break into a simple paragraph, or doing nested bullet points with paragraphs and code blocks! It makes a mess of lists, doesn’t do hyperlinks well, and has no standard way of representing tables, no understanding of semantic mark-up or style classes. It won’t do definition lists, tables, citations, mathematics, and footnotes. It isn’t versatile enough to support its main use-case, rendering code because there’s no support for labelling the language used in code snippets. It is also insecure since it allows embedded HTML, and therefore opens the door to the possibility of cross-site scripting. You have to disable this entirely or add your own HTML sanitization. In short, the original Markdown, the de-facto standard, is illogical, and ambiguous. As a result, its users have tried to improve it, and remedy some of the above failings, with their own extensions. Github and Doxygen both use extensions, and then there is Pandoc, MultiMarkdown, and Markdown Extra. The problem is that, in the absence of any evolving standard, these extensions have tended to drift off in their own incompatible ways with each implementation doing things slightly differently, mainly due to the confusion over what was originally intended. Who knows what was intended when there is no public standard anyway? The original vague specification hasn’t changed since 2004. So what’s the solution? We can adopt one of the “extended” Markdown-based languages (Pandoc seems to have the most energy behind it), but what is really lacking is an agreed international standard that is logical and consistent. For me, AsciiDoctor, a development of AsciiDoc which pre-dates Markdown, looks very hopeful if it can outgrow its Ruby roots. Markdown’s successor should allow the average user to do average things without feeling constrained, but should flex sufficiently to provide more specialised use, such as is required by GitHub. More to the point, we can do nothing without an adopted standard that can be developed. I never expected that in 2014, I’d be pining for mark-up as simple as that in Ventura, or, heaven help us, something as versatile as LaTeX!